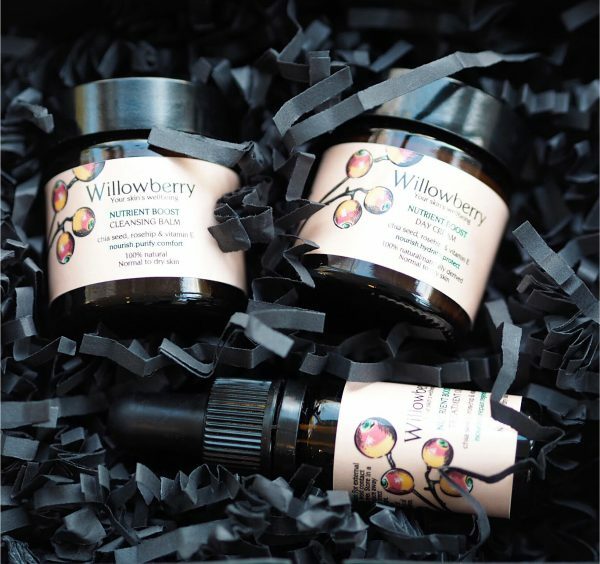 If you prefer to go indie-brand rather than mainstream for beauty gifting, I’ve probably got Christmas all wrapped up for you with the release of the natural skin care brand Willowberry sets. Better yet, there is free postage and free gift-wrap if you buy in November. 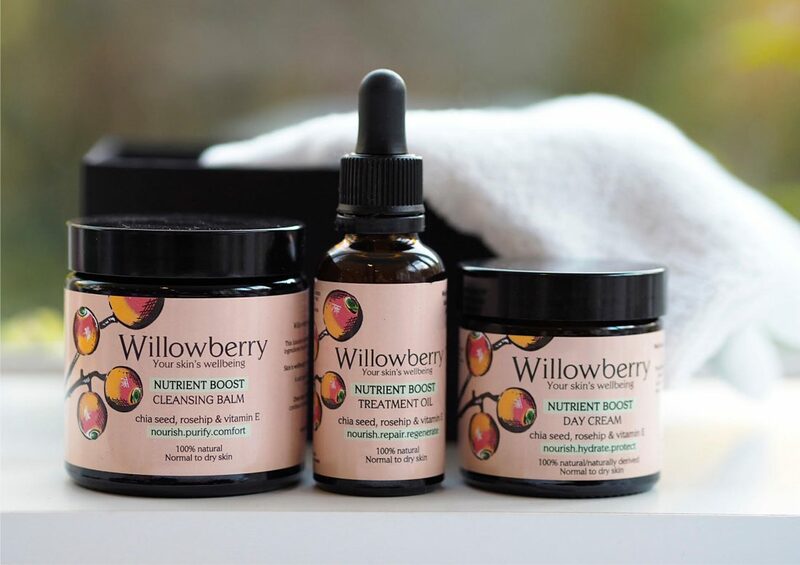 I’ve written about Willowberry previously, but as a quick memory jog, it’s a fully transparent range with a focus on skin health that decodes ingredients without pseudo-science and uses unrefined oils and butters to form the foundations of the products. 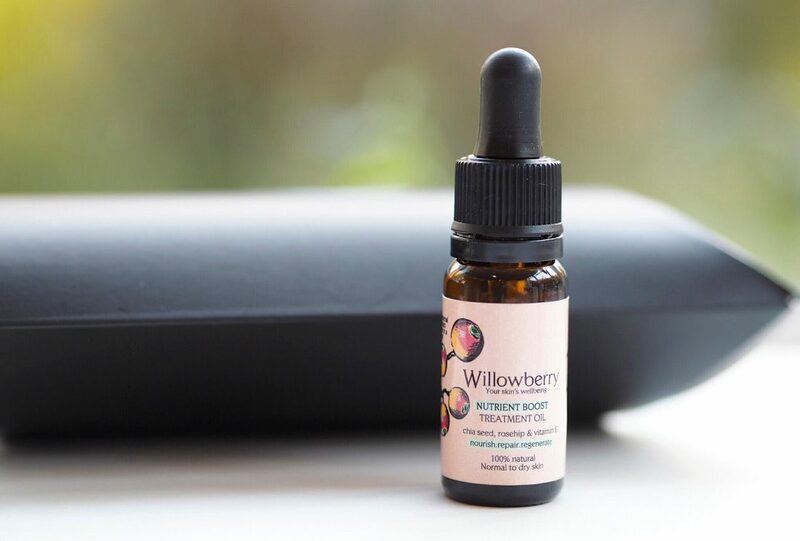 The Treatment Oil is one of the best I’ve ever used and if you want to thoroughly get to know your skin care brand, you’ll find nothing hidden from Willowberry. 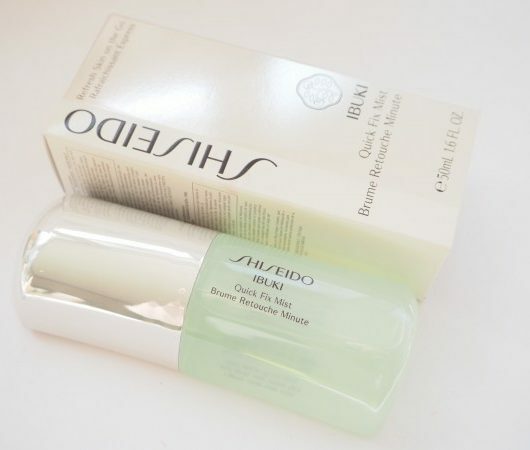 The Mini Skin Care Gift Set, £29.95 (HERE) has an extra bonus giving 10% from all sales to Teddy’s Legacy, a charity that supports newborn babies that need extra help. 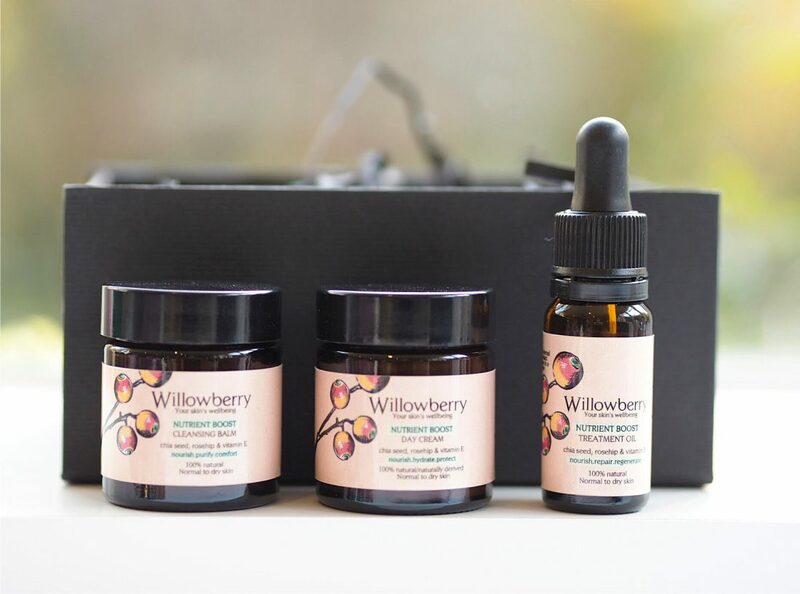 Inside the box, you get the Nutrient Boost Cleansing Balm (30ml), Treatment Oil (10ml) and Day Cream (30ml) – I don’t even think these are all that mini! 30ml is full-size for some brands. 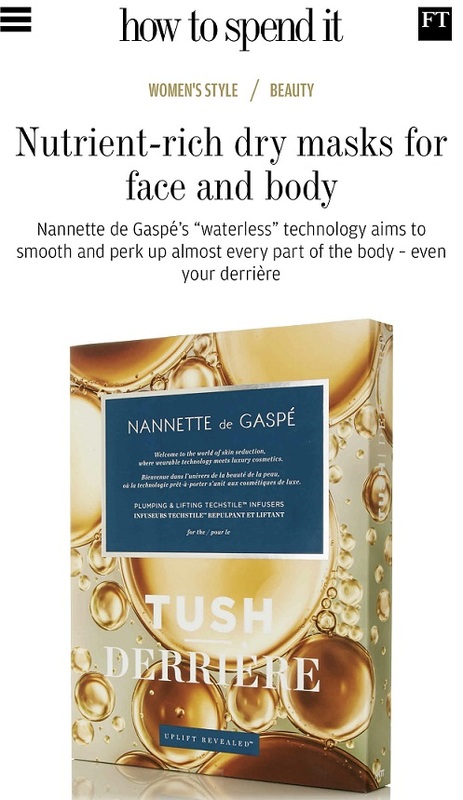 In terms of skin feel, everything is rich, lush and instantly softening – exactly what winter skin needs. 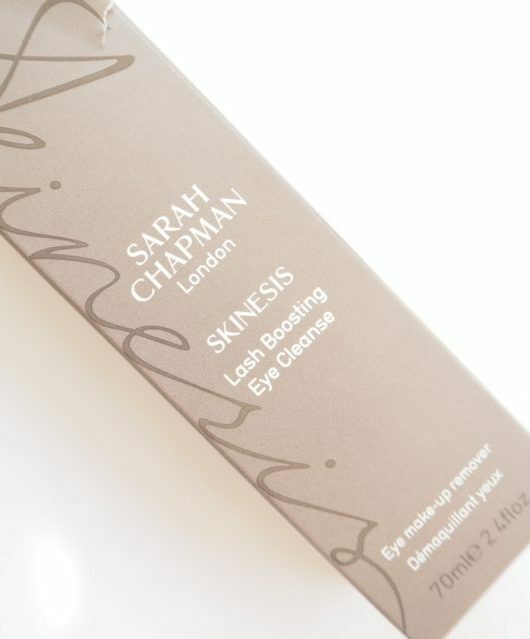 You can, of course, take the full-size option – the same as the smaller box, but in bigger quantities and this set comes with a wash-cloth to use with the cleansing balm. 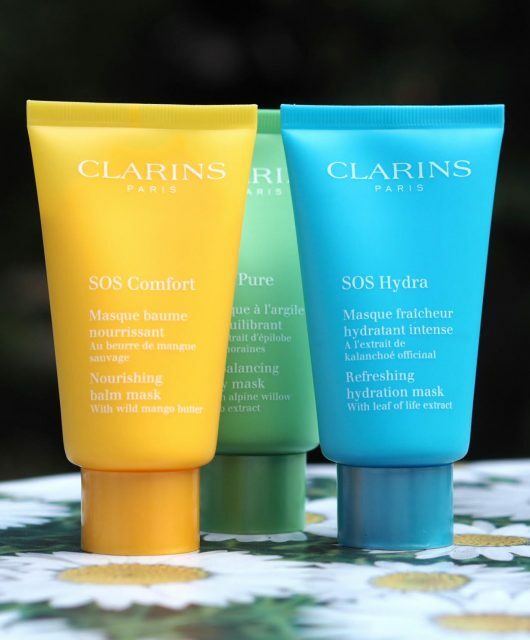 Sizes are Cleansing Balm, 100ml, Treatment Oil, 30ml and Day Cream, 60ml. Enough, certainly, to take you through to spring and beyond. It’s £74.95 HERE. 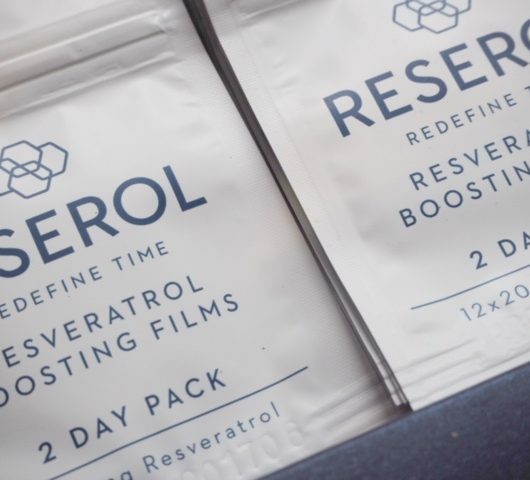 There are plenty of other options, including the mini size Nutrient Boost Oil at £10 HERE that gives a taster of how well this oil performs. 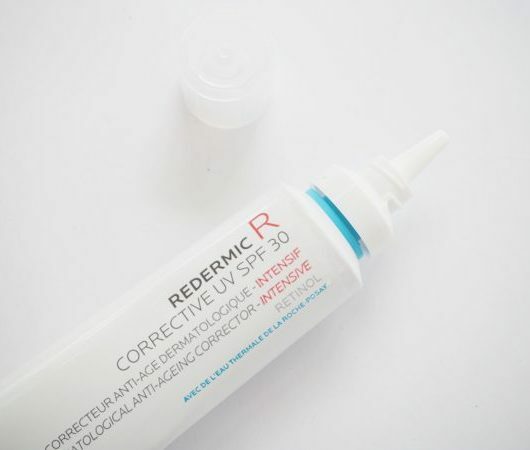 The range, I should say, is vegetarian (although not vegan) friendly, palm oil free and packaging can be fully recycled… it’s good even beyond the very last drop! 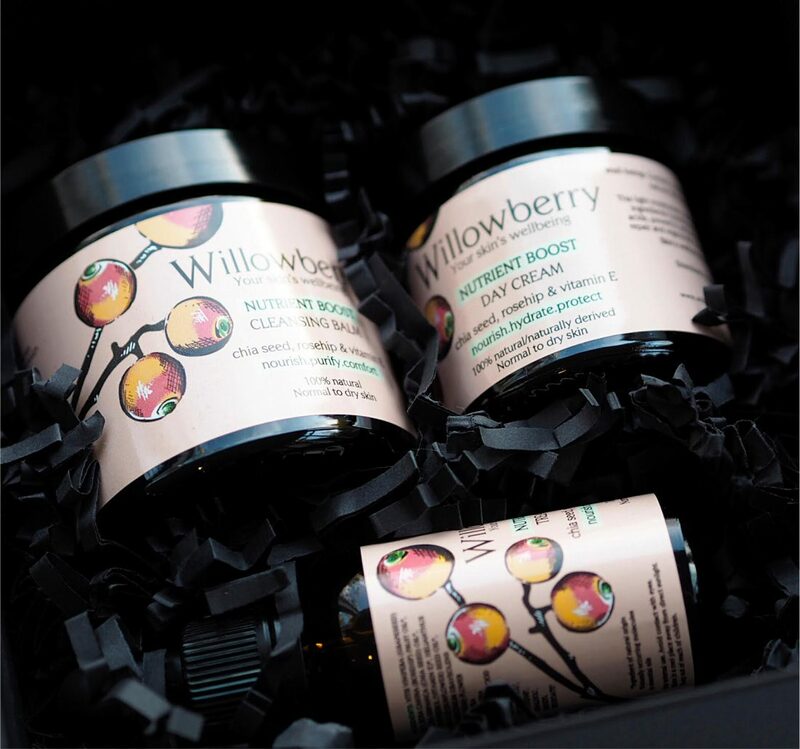 You’ll immediately know Willowberry better if you read their FAQ page HERE that explains everything you’d want to know and if, by a remote chance, there’s something not covered, drop them an email and you’ll hear back quickly.